The FNC Residential Price Index was released April 15, indicating that home prices throughout the nation inched up in February by 0.1 percent. 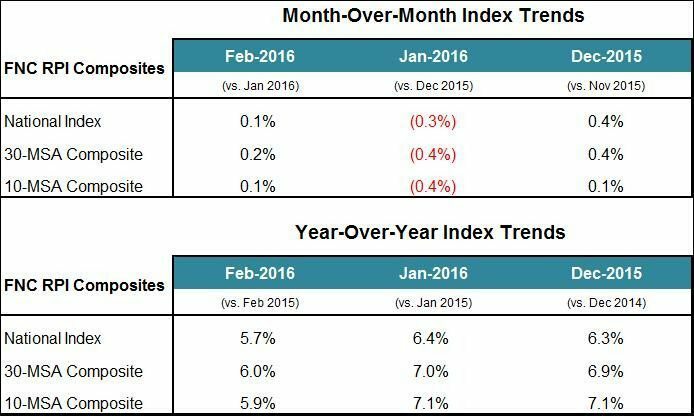 Compared with last year, home prices increased 5.7 percent even after unexpectedly dropping in January. “The spring housing market appears to be on solid ground amid continually improving labor market and rising home sales,” said Yanling Mayer, FNC‘s housing economist and director of research. The volume of foreclosure sales were down in February on a yearly basis but up a bit over January. In order to measure the health of local housing markets and “unsmoothed home price trends,” the FNC National Residential Price Indices were created. The index is an aggregate price index of 100 major metro areas throughout the nation. 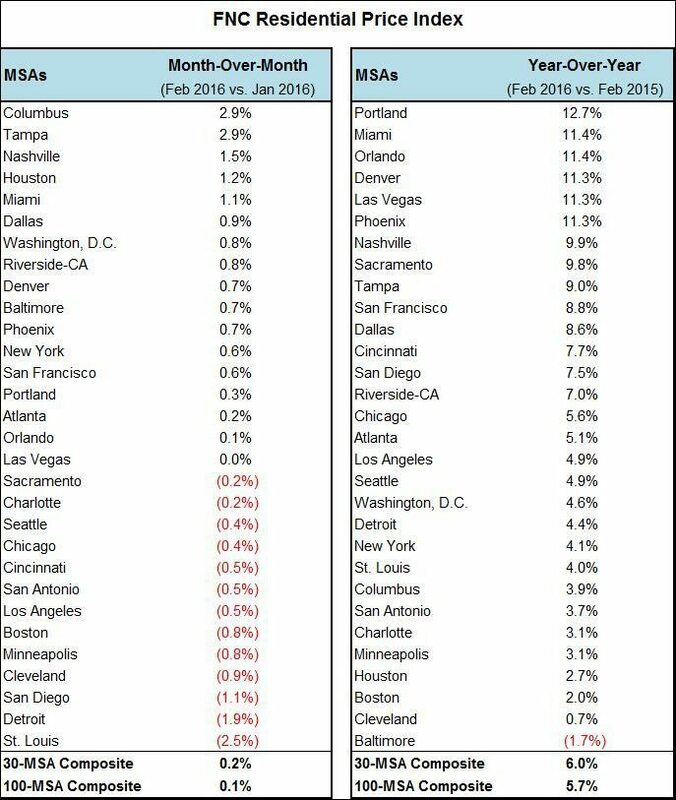 In Los Angeles, the FNC Price Index in February decreased 0.5 percent, ranking it pretty far down the list of cities. Annually, Los Angeles was just a bit higher on the list with an increase of 4.9 percent.